It is mid-October already! The leaves are falling off the trees pretty quickly. This year’s foliage was not its usual splendor. The weather has been too warm and many of the leaves appear to have some sort of blight. The leaves start to turn – then get black spots or look burned and fall off the tree. A little over a week ago – I went up north with my parents and McKenzie the dog. It was beautiful – though not very colorful. 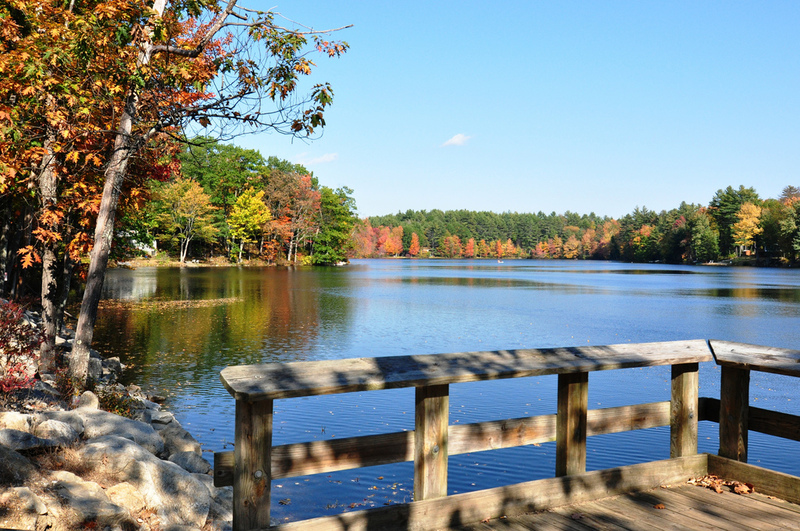 We saw more color in Concord at Hot Hole Pond. I will be enjoying whatever color comes our way. November is right around the corner and that is usually such a colorless-gray month. It makes you (or at least makes me) wish for snow – to put some color (even white is an improvement) out there.